On Monday, we had a presentation about natural medicine and how to prevent illness through stress reduction and changes to diet and lifestyle from husband and wife team, Drs. Pina LoGiudice and Peter Bongiorno, who are naturopathic doctors and licensed acupuncturists. 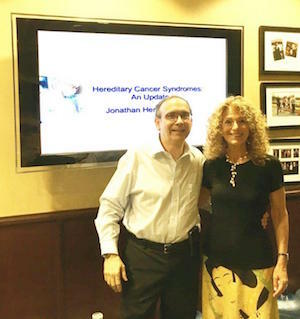 The dynamic couple presented to a full house in our conference suite where they explored the environmental, genetics, food and metabolic factors that contribute to breast cancer.